How do I purchase Real Salt Lake at Red Bull Arena - NJ Tickets? Click on the "View Tickets" button to select your Real Salt Lake at Red Bull Arena - NJ tickets. You will find cheap Real Salt Lake at Red Bull Arena - NJ in Harrison, NJ tickets for each level within the venue. CapitalCityTickets.com carries event tickets that are 100% guaranteed. View our guarantee section for more details. Are cheap Real Salt Lake at Red Bull Arena - NJ tickets available? Cheap Real Salt Lake at Red Bull Arena - NJ in Harrison, NJ tickets are always available at CapitalCityTickets.com. We even offer a promo code for additional savings. We provide a quick and easy way to purchase cheap Real Salt Lake at Red Bull Arena - NJ in Harrison, NJ tickets. We back each Real Salt Lake at Red Bull Arena - NJ ticket purchase with our 100% Guarantee. CapitalCityTickets.com carries a wide selection of tickets. Depending on the venue, you can find general admission tickets (GA), front row tickets; floor, lawn, balcony, box, pit, mezzanine and orchestra seats, standing room, lower level, upper level, loge, courtside seating, VIP seats, meet & greet packages and more for all events worldwide. Buy cheap Real Salt Lake at Red Bull Arena - NJ in Harrison, NJ tickets online 24/7 at Capital City Tickets and know you are getting authentic tickets that come with a customer satisfaction guarantee. Find the cheapest Real Salt Lake at Red Bull Arena - NJ in Harrison, NJ tickets online. Q: Do you sell Real Salt Lake at Red Bull Arena - NJ event tickets? A: Yes, we do sell Real Salt Lake at Red Bull Arena - NJ tickets. Check out our inventory above and order them today! Q: Is my personal information safe on CapitalCityTickets.com that I have entered while purchasing Real Salt Lake at Red Bull Arena - NJ tickets? Q: Will the seats be grouped together at Real Salt Lake at Red Bull Arena - NJ event? 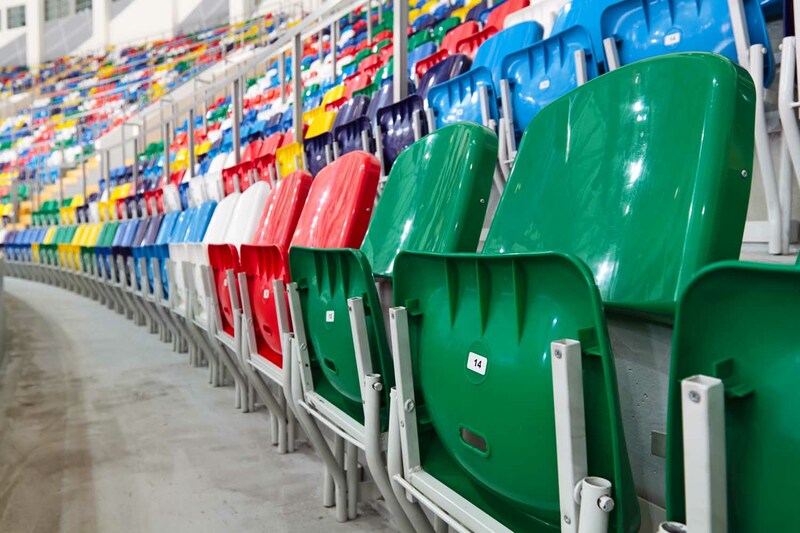 A: Yes, the seats will be grouped together, unless otherwise stated, so buy Real Salt Lake at Red Bull Arena - NJ tickets you want from us at the cheapest prices on the internet. Q: Can I check out the seating chart for Real Salt Lake at Red Bull Arena - NJ tickets? A: Sure, just go to our Real Salt Lake at Red Bull Arena - NJ tickets page and check out the seating charts from there. Q: I would like to know if you have any promotions on Real Salt Lake at Red Bull Arena - NJ tickets? A: We have set very low prices for all tickets including those for Real Salt Lake at Red Bull Arena - NJ. You would love our rates and we have more to offer, you can also get an additional 10% off with promo code CHEAP. Q: Do you require promotional codes for Real Salt Lake at Red Bull Arena - NJ tickets, are they available with you? A: Yes, promotion codes for Real Salt Lake at Red Bull Arena - NJ tickets are available with us, use promo/coupon code CHEAP at checkout and save. Q: What is the price for front row Real Salt Lake at Red Bull Arena - NJ tickets? A: Check out the pricing section of our website for complete details about Real Salt Lake at Red Bull Arena - NJ ticket prices for the front rows. Q: I want to buy cheapest Real Salt Lake at Red Bull Arena - NJ concert tickets. Do you have them? A: We have Real Salt Lake at Red Bull Arena - NJ tickets at affordable prices. You can also save with discount code CHEAP at checkout. Q: What are the best prices you are offering for Real Salt Lake at Red Bull Arena - NJ single tickets? A: Check out our website to get all the information you need about Real Salt Lake at Red Bull Arena - NJ single tickets and the prices on offered by Capital City Tickets. Q: Do you still offer cheap tickets to Real Salt Lake at Red Bull Arena - NJ live? A: Yes, check out the price list above on Real Salt Lake at Red Bull Arena - NJ tickets page and order your tickets today! Q: Do you sell Real Salt Lake at Red Bull Arena - NJ parking passes? A: Yes, check out our ticket inventory above and search for Real Salt Lake at Red Bull Arena - NJ parking passes. Q: Where to buy Real Salt Lake at Red Bull Arena - NJ tickets? Q: Is there a discount on Real Salt Lake at Red Bull Arena - NJ tickets? A: Yes, we offer promo/discount code on all Real Salt Lake at Red Bull Arena - NJ tickets. Q: Will all the seats be together for the Real Salt Lake at Red Bull Arena - NJ event? A: Seats are always together, uless otherwise stated, for Real Salt Lake at Red Bull Arena - NJ at Capital City Tickets.